Here is a resource which in many ways is better than any auction available. you can find excellent prices on top quality restaurant equipment here. All of the equipment sold by one of the most reliable restaurant supply houses in the business. you need to check out some of these deals. Make sure the restaurant equipment you are buying is top quality. Make sure the dealer stands behind their guarantee. While you may save a few dollars in the short run, in the long haul you will be spending much much more money Make a worthwhile investment in your business the first time. 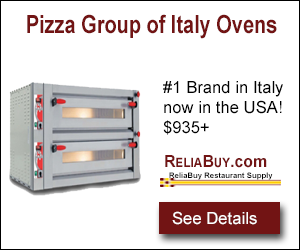 If you are searching for excellent pizza ovens and other restaurant supplies, you must check out these deals. Deal of the Day: $1675 Huge 42cf 2dr Display Cooler: $1675 Brand New, Free Ship, 5YR Warranty! Commercial Ice Machines Alamo IM-280 = makes 280lbs per day 10-min cycle, 5-Yr Warranty: $1775! 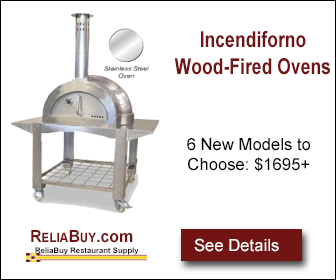 New Gas Cooking Equipment All Sierra Gas Fryers, Charbroilers Griddles & Hot Plates on Sale Now! New Glass Display Fridge Huge 42cf 2dr Display Fridge: $1675 Brand New, Free Ship, 5YR Warranty! If you are looking for some great deals, you found them right here. Here is the bottom line: if you really are serious about saving money on items you buy, you need to check out the best selection as well as the best prices. These items for sale are dynamically produced. That means they are the most up to date and are in real time. If you see something you like, you can head over there right away. You may want to book mark this page to check out the latest items.